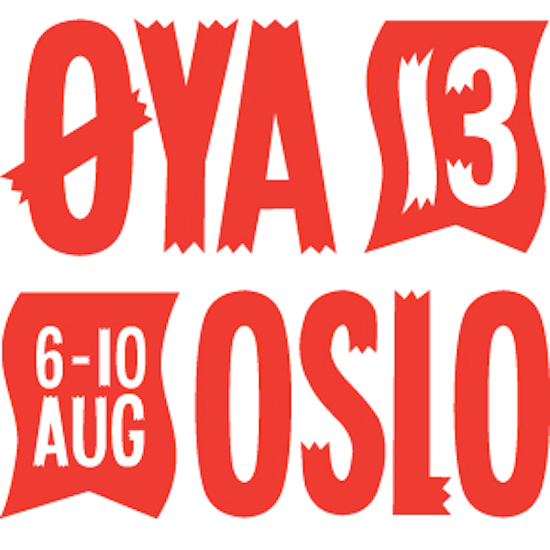 This year's Øya Festival, taking place from August 6-10 in Oslo's Middelalderparken, is already a teeming hive of fine names, and now they've revealed their itinerary for the club nights taking place in various venues around the city after the day's events in the arena are done. Names that we'd particularly recommend you catch are Mykki Blanco, Oneman, Danny Brown, Mikal Cronin, Todd Terje, John Talabot and Pional and Rolo Tomassi, along with a couple of acts who've put out some of our favourite albums of the year, Uncle Acid & The Deadbeats and Merchandise, who'll all be joining Kraftwerk, The Knife, Wu-Tang Clan and countless other highlights on the main bill. For full details and tickets, head to the Øya website; additionally, keep an eye on the site for further coverage of the festival by tQ chief John Doran.